We previously demonstrated that high serum enterolactone levels are associated with a reduced incidence of breast cancer in healthy women. The present study was aimed at investigating whether a similar association might be found between serum enterolactone levels and the mortality of women with early breast cancer. The levels of enterolactone in cryopreserved serum aliquots obtained from 300 patients, operated on for breast cancer, were measured using a time-resolved fluoro-immunoassay. Levels were analyzed in respect to the risk of mortality following surgery. Cox proportional hazard regression models were used to check for prognostic features, to estimate hazard ratios for group comparisons and to test for the interaction on mortality hazards between the variables and enterolactone concentrations. The Fine and Gray competing risk proportional hazard regression model was used to predict the probabilities of breast cancer-related and breast cancer-unrelated mortalities. At a median follow-up time of 23 years (range 0.6–26.1), 180 patients died, 112 of whom died due to breast cancer-related events. An association between a decreased mortality risk and enterolactone levels ≥10 nmol/l was found in respect to both all-cause and breast cancer-specific mortality. 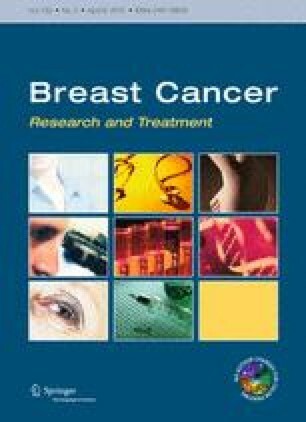 The difference in mortality hazards was statistically significant, but it appeared to decrease and to lose significance after the first 10 years, though competing risk analysis showed that breast cancer-related mortality risk remained constantly lower in those patients with higher enterolactone levels. Our findings are consistent with those of most recent literature and provide further evidence that mammalian lignans might play an important role in reducing all-cause and cancer-specific mortality of the patients operated on for breast cancer. This work was partially supported by grants from the Ministry of Universities and Research (Grant number 1999:9906101183-002) and from the University of Genoa (years 2003, 2004 and 2005). The authors are indebted to Dr. Gian Luigi Lunardi (former address: Laboratory of Pharmacology and Neurosciences, National Cancer Research Institute, Genoa, Italy; present address: Department of Oncology, Sacro Cuore Hospital, Negrar, Verona, Italy) who carried out the procedure for measuring serum enterolactone concentration in study samples. They are also indebted to Dr. L. Zinoli (IRCCS San Martino and University Hospital-National Cancer Research Institute) for the assistance in the data management and graphic production. Finally, they wish to thank Ms. Suzanne Patten for reviewing the language format.